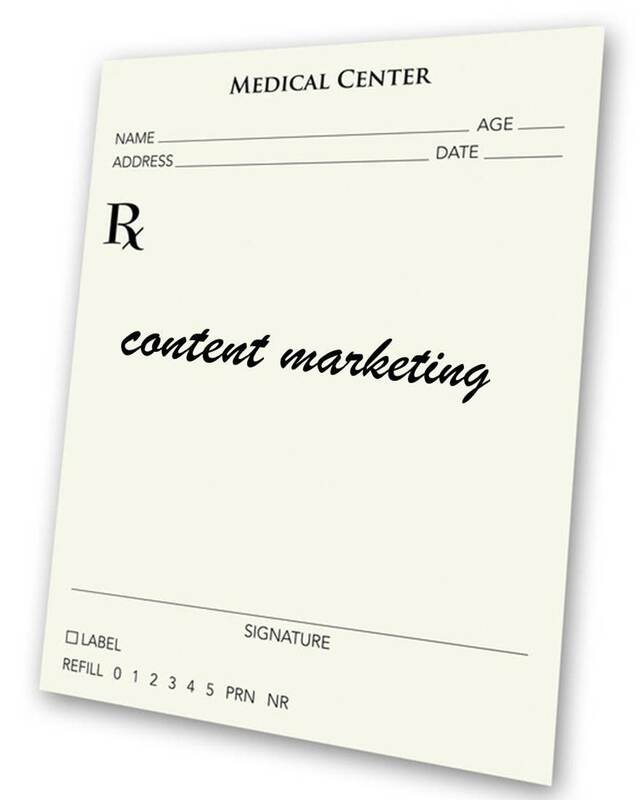 Content marketing is a hot topic for healthcare marketers. And no wonder. More than ever, healthcare consumers are seeking information, sharing healthcare experiences, exploring treatments and selecting providers online. And the vast majority of online health-related discussions take place without input from healthcare professionals. A recent Pew Internet and American Life Project study revealed that 81% of U.S. adults use the internet and 59% say they have looked online for health information in the past year. Over a third of U.S. adults say they have gone online specifically to try to figure out what medical condition they or someone else might have. Professional Research Corporation’s (PRC) 2012 National Consumer Perception Study also found that one-fourth of healthcare consumers use the web to find a doctor, and 16% say that blogs and posted comments impact which physician or hospital they chose for care. The challenge for healthcare marketers is having the right content in the right place at the very time that consumers are searching. To do this, they must develop a thorough understanding of how consumers discover, consume and share information on-line; and the role of search and social interaction across the consumer buying cycle. The bottom line is that content marketing isn’t about self-promotion; it’s about engaging consumers through relevant information, resources and tools, discoverable at a time and place when they are most open to receiving messages. It’s about building your brand and strengthening relationships at every point through the consumer decision-process. And encouraging your audience to act through strong calls to action with content that positions you as the preferred choice. I hope you’ll join us. The 60 minute PRC Webchat starts at 1:00 pm central time. And, there is no charge for participation. Just click here for more information and online registration.